Ismaily (pronounced e-smiley, like a Spanish person saying smiley) was named after a movie and plays for Shakhtar Donetsk. But what else do you need to know about the new call-up to the seleção? Ismaily became the 64th player to be called up by Tite. He was drafted into the squad yesterday (Tuesday) for the friendly matches against Russia and Germany following an injury to Alex Sandro (a thigh injury), who himself was called into the squad due to an injury to Filipe Luis. The latter has a fractured leg, underwent an operation and is a doubt for the World Cup. It turns out that despite having some excellent players to call on, the left back position is turning into a problem position for Brazil. Since the 2014 World Cup, left backs have had to withdraw from seleção squads on a total of nine occasions. You’ve got to feel sorry for Alex Sandro. He’s got two of the best full backs in front of him in the queue yet every time he gets a chance, he seems to get injured himself. Although that has opened the door for the wonderfully-named Ismaily. Ismaily turned 28 in January and plays his football for Shakhtar Donetsk in Ukraine, who have several other Brazilians in their ranks, including Fred (a transfer target for Manchester United and Manchester City) and Taison, who are both in the current seleção squad. Ismaily’s full name is Ismaily Gonçalves dos Santos. 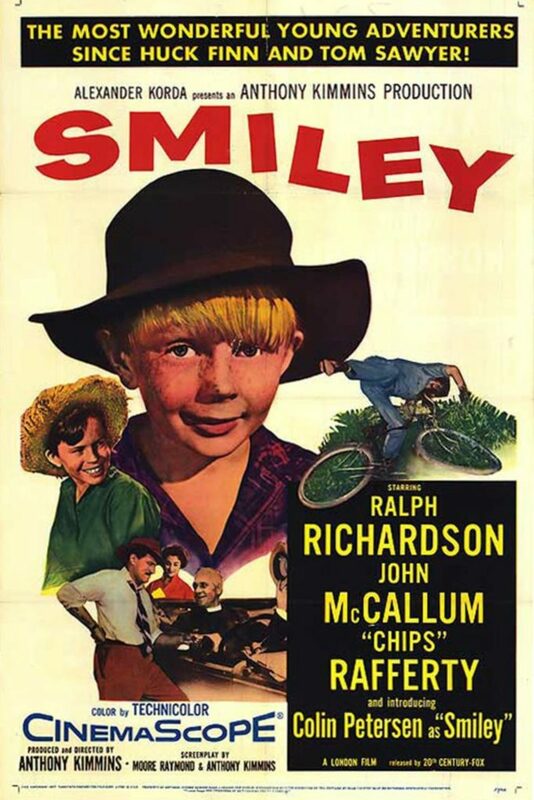 Interestingly, he was named after the 1956 movie Smiley, about a boy who wants to buy a bike for £4. That’s correct – his parents named him after a movie about a boy who wants to buy a bike for £4. Many Brazilians, when pronouncing the word smile, or smiley, or any word beginning with an s for that matter, might drop a semi-silent e or is in front of the s. I’m not too sure of the semantic reasons behind that, but it’s possibly because many words in Portuguese begin with the es, not just s. Like the word sport, which in Portuguese is esporte. It’s not entirely clear what the parents told the registry office that they were naming their son after an English language movie or that they wanted the word smiley to be pronounced ismaily, with more of an is than an e. Perhaps they just misspelled it. Whatever the true reason, I just leave these stories – only in Brazil! I have never seen Ismaily play, except perhaps not knowingly when watching some Champions League highlights featuring Shakhtar Donetsk. Shakhtar have been pretty good this season, although they went out in the last round against Roma. Seleção coach Tite is impressed and even before the injuries to Filipe Luis and Alex Sandro, he mentioned Ismaily during his press conference: “ele esta jogando muito” (i.e. the man is a baller!). You can’t be a mug if you are called up by the seleção and play in the Champions League, but Ismaily is a late bloomer. He is from the Brazilian state of Mato Grosso do Sul (MS) and played for modest clubs in Brazil (Desportivo Brasil and São Bento) before moving to Estoril in Portugal. He has spells with Portuguese sides Olhanense and Sporting Braga before moving to join the Brazilian contingent at Shakhtar in 2013. It took him a few years to establish himself for Shakhtar, but now he is their undisputed number one left back. He has been offered the chance to play for the Ukraine national team, since he became eligible for Ukraine citizenship in January after living in the country for five years. He turned down that opportunity though, hoping, one day, for a call up to the seleção. His dream has now come true. Excellent stuff. Boa sorte Ismaily. This entry was posted in Brazilian football, Seleção and tagged Ismaily, Shakhtar Donetsk by Brian Davidson. Bookmark the permalink.